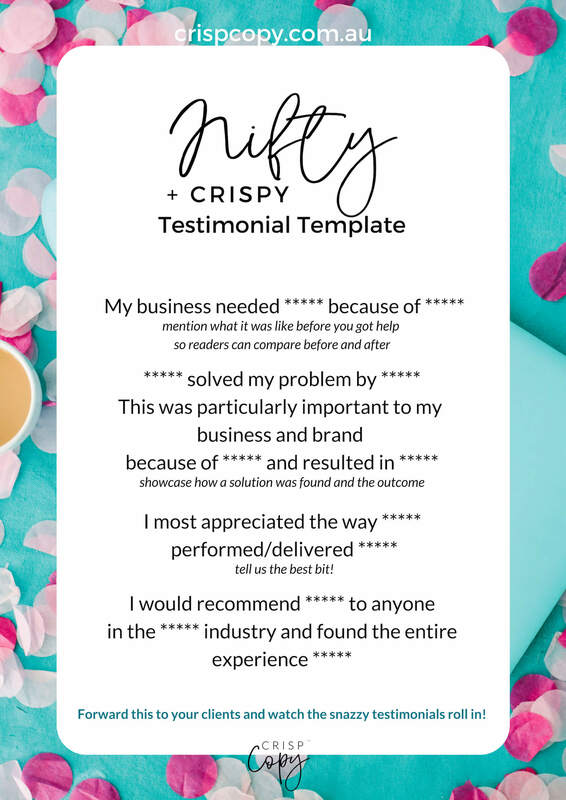 Do you cringe at asking for a testimonial? What about if I asked you to write me one? Did you just shrivel up inside? That’s just how your clients and customers feel when you ask them to pen you a para or two. 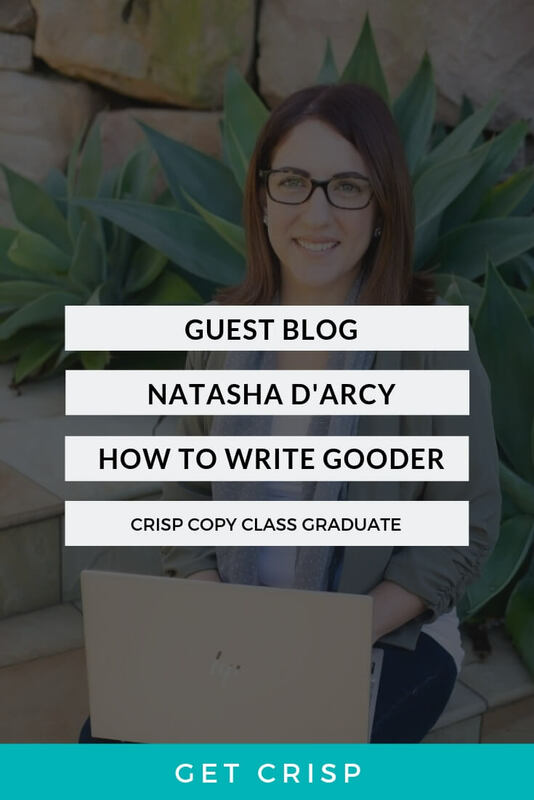 Unless they’re word-nerd-birds like yours truly, writing a testimonial can bring up all kinds of queasy feelings and general procrastination techniques. Would it be helpful to have a process where it felt easy for them to say yes? In my pre-emancipated state – AKA when I had a job – I wrote references for employees around ten times a year. Some of them were relief staff, some were long-termers, and all were looking forward to a new adventure with a healthy mix of trepidation and anticipation. These documents were so important that it was practically a given the employee wouldn’t get the role if they didn’t have written proof of their worth from their previous employer. and are absolutely important to the health and growth of a business. Did you know that a potential client or customer will read up to five reviews of your product or service before hitting that contact button for the first time? Word of mouth is such an important part of business development, and there is such power in someone else’s personal experience. 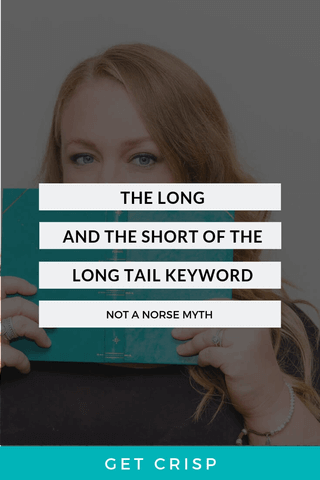 When I write a reference or testimonial, I try to think of where the person will end up next. What does the new place need to know about them? If I was their new prospective employer or their next client, what would make me think they were the right person for the job? I also try to add something in that they may not list on the top of their strengths. Something that I see they do without noticing, or with compassion and with a level of excellence that they themselves may take for granted. I try to let the potential client see what is exceptional about them. 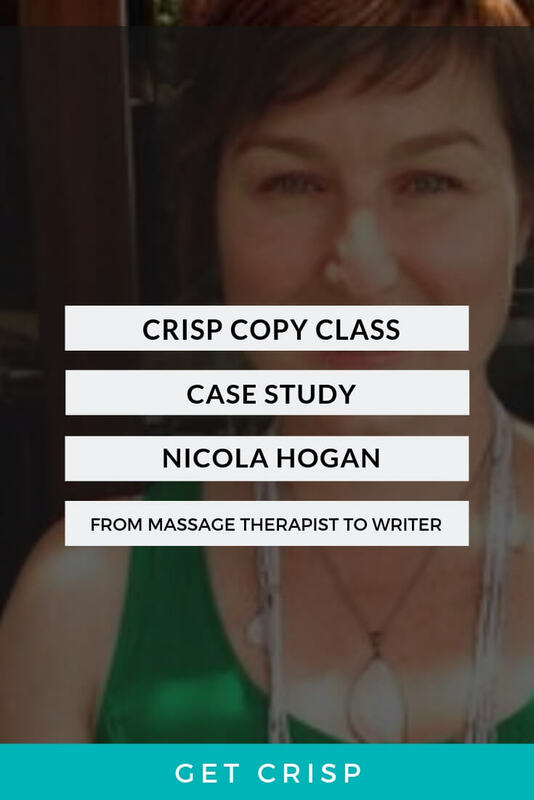 You can use the same strategy to create a process that makes it easy for your client to write a glowing review about you. To someone that would rather poke themselves in the eye with a plastic fork than put pen to paper, “testimonial” can sound like “War and Peace”. Let them know that 4 – 5 sentences, honestly and simply written, will do the job. Because you say “words” and they hear “more work”. But knowing what a tremendous gift they’re giving you might turn their mindset on its head. Sure, it’d be nice if they’d pop onto Google and give you a review or write one natively on your Facebook (or both – please!) but won’t you take it however it comes? 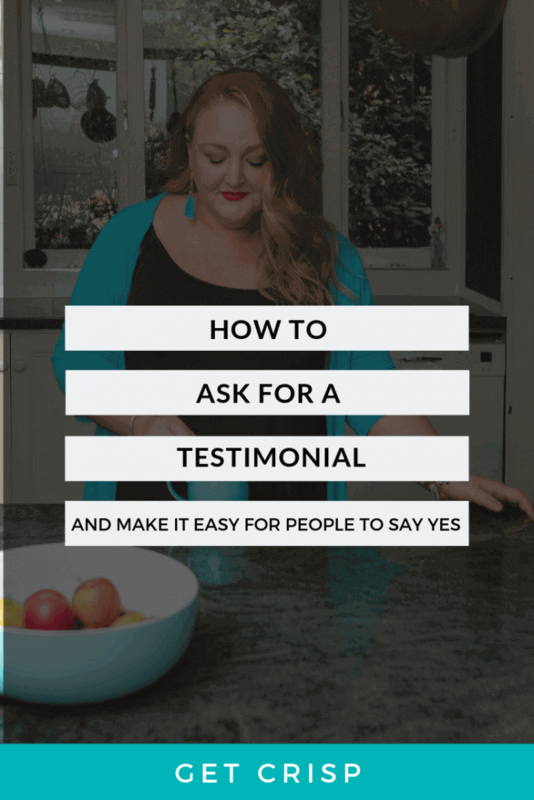 Make it easy for people to say yes by giving them more than one option to communicate your worth to the world – FB reviews, email, phone call, audio recording. Smoke signals? Whatever floats their boat and gets the job done. Why did you hire me in the first place? What problem did you need assistance with? How did I resolve your problem? How was my resolution to your problem distinctive? What qualities about my work did you particularly like? What, in one sentence, summarises your experience with me as a whole? Would you recommend me to someone else? I especially appreciated the way **** performed ****. Grab a copy of this template (just right click the image below and save) and send it to your clients. They can then can snazzy it up with anything specific and particular they’d like to mention about their experience. 5. Hook them up with inspo! Or, forward them this blog. Seriously. Steal all my good ideas. That’s why I put them on the internet. Now, go get some love!